Futures in the U.S. markets were way down earlier this week when it was learned that Japan was in a tax-induced economic recession. Thanks to a new consumption tax, GDP fell 1.6% during the third quarter. Why this comes as a surprise to anyone is hard to understand. After all, a consumption tax is like a sales tax. The higher the tax, the less people will spend. The Nikkei 225, Japan’s best-known market index, lost more than 500 points, or almost 3% on the news. Somewhat surprisingly, U.S. markets began to recover before the opening bell. Japan is our fourth-largest trading partner and year-to-date, it has accounted for about 5% of our total trade. U.S. investors apparently decided that wasn’t large enough for a recession in Japan to rock our economy. Besides, investors are still fixated on quantitative easing. The Federal Reserve may have cut back, but investors are finding their fix elsewhere. 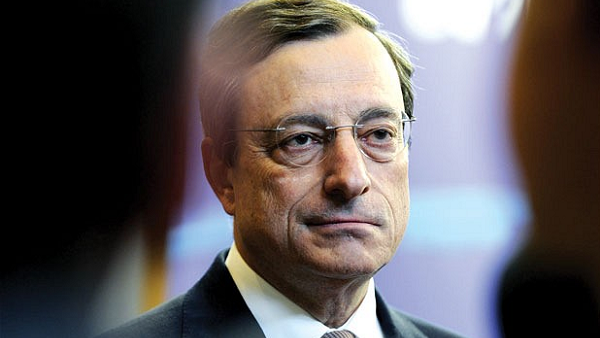 Mario Draghi, President of the European Central Bank, gave a speech Monday warning that economic growth in the euro zone has lost momentum. He said that buying government bonds would be an option he would consider. That’s something he had not confirmed before. That remark was enough to immediately push up stock prices in Europe and the U.S. This just provides further evidence that asset prices continue to be driven by loose central bank policies and not by fundamental factors or expectations for stronger economies.